KXCI On The Air: Lost Bayou Ramblers - Saturday Dec 1st at Boondocks Lounge - KXCI Presents! Lost Bayou Ramblers - Saturday Dec 1st at Boondocks Lounge - KXCI Presents! One of the best Cajun bands around, The Lost Bayou Ramblers, are playing at the Boondocks this Saturday Dec. 1st, for an early show at 6pm, KXCI Presents!. They were nominated for a Grammy this year and won the 2012 Big Easy Award for Best Cajun Band. 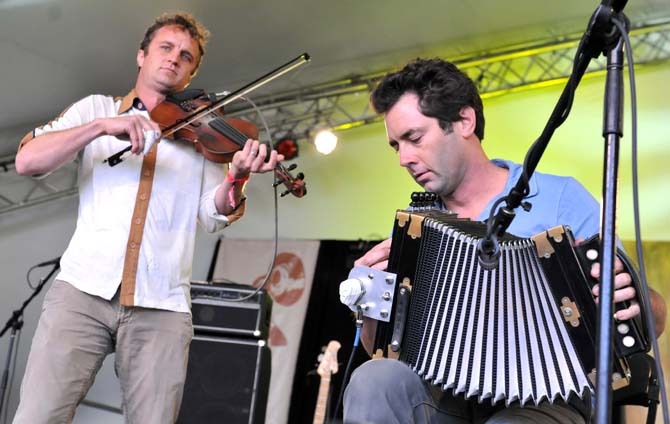 They are part of the new generation of Cajun/Zydeco musicians coming out of Southern Louisiana that are carrying on the tradition that their ancestors started many years ago. It is a real treat that we were able to book them in Tucson as they tour to support their latest release Mammoth Waltz. The album showcases the shear power and vitality that this band possesses. It's like listening to Nathan Abshire sing "Pine Grove Blues" but taken up a few notches. You don't want to miss this show, which will surely tear the roof off the Boondocks. They will be playing two sets starting at 6pm and there will be Cajun food available, featuring Jambalaya and Shrimp Gumbo.